Imagine being able to shape the world with the power of your thoughts. You would know if you were making the correct decision every time. You would be able to embrace universal truths without question. 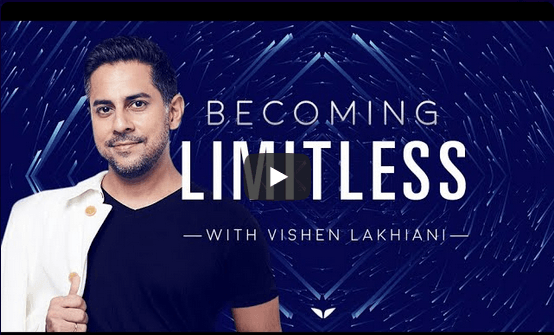 In the Becoming Limitless program by Mindvalley, created by Vishen Lakhiani, the goal is to provide you with this power. Instead of blindly following ideas that hold you back, this program pushes you toward a higher calling. It promises to help you begin to feel connected to all life. To create a feeling of accelerated manifestation. These are lofty promises. Does the promise live up to the reality of this personal development program? 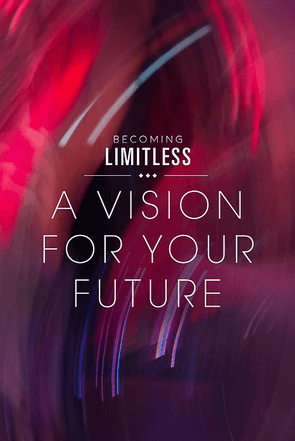 What Comes with the Becoming Limitless Program? Mindvalley offers 8 different modules with the Becoming Limitless program. Several of them, on the surface, feel like most programs that are designed to help someone expand their horizons. Modules entitled “Total Inner Peace,” “Merging,” and “A Vision for Your Future,” would fit into this category. You’ll also receive modules called, “Merging,” “Expanding Your Intuition,” and one on how to build companies and expand influence. Mindvalley provides a bonus Q&A module with the program as well. Each module is intended to involve a full week of study and personal contemplation. Let’s take a look at the individual modules and how effective they are. This review will begin with the initial Becoming Limitless introductory module, which is self-entitled. This module serves as an introduction to the Mindvalley personal transformation program. It begins by asking questions about who you are and what you believe. One of the most important questions involves a personal definition of God. Is God real? Or just a construct, like the emotions we have or the language we use? Far too often, rules are created to simplify the world. People are comfortable when they are not challenged. That leads to a life that stays in a comfort zone, at the first level of thinking, because it feels like personal constructs are challenging on a personal level. A personal construct cannot challenge you to grow personally. Many of the behaviors and actions that people take today are through inherited choices. Grandfathers and grandmothers felt a specific way, which was passed to their children, which is then passed to the grandchildren, and so forth. This module takes a look at how to identify these artificial constructs. Then it shows you how to find solutions which don’t involve the matters of life, such as guilt, which set you back. For an introductory module, there are challenging questions that must be asked of oneself. The Becoming Limitless module makes sure that this is a program you want to pursue by pointing out potential issues in stark language. 63% of people feel negative stress about their future, topping money (62%), work (61%), and even crime (51%). There are a lot of things to be angry about in the world today. Hate is a common emotion. If hate is present, then inner peace cannot be present. 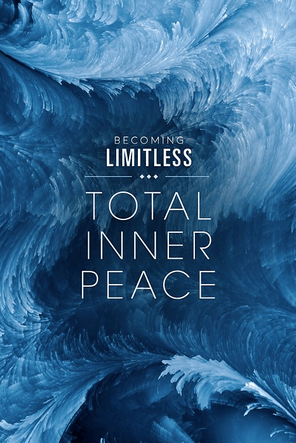 Becoming Limitless by Mindvalley shows you how to deal with this issue. The key to reducing stress and finding total inner peace is to raise your alpha brainwaves. To do that, you must begin to embrace concepts of forgiveness. There are two ways to forgive someone you feel has wronged you. The act of forgiveness can be targeted at yourself or at the person who caused the pain and stress in the first place. What you would choose to target would involve the pain that you feel. Your goal with this module is to find a place where you can clear that pain. When people are hurting, they seek comfort. That act of seeking comfort can lead to alcohol addiction, drug abuse, and overeating. Some people choose to lose themselves in their work. With forgiveness an active component of life, this program teaches how to overcome very challenging issues of pain and stress that some people feel. This module is challenging. Some might dismiss what is being taught here. If it is applied in a practical way, however, there is a foundation provided for personal growth. There is a song that children sing which is called, “Happiness.” The lyrics go something like this. Which is interesting, because happiness is something that is in short supply in today’s world. Since 2013, happiness surveys in the United States and the developed world indicate that only 1 in 3 people feel happy overall. The groups that are most happy tend to be people who either have a very high household income or have a high school diploma, GED, or never graduated. 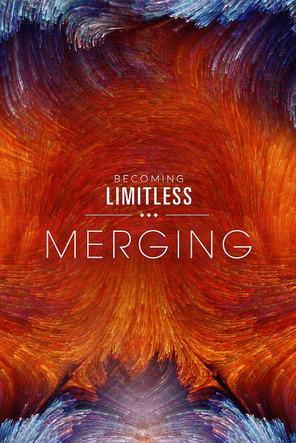 Becoming Limitless by Mindvalley tries to change personal perspectives in this module. Using drugs to create a state of temporary bliss means there is a requirement to reproduce the surge in brain chemicals that bring joy. That is why people must drink more or take stronger drugs to find a state of bliss. Their bodies are used to the surge and the crash that follows. They must keep pushing their limits to find that instant bliss. Instead of looking at circumstances, this module teaches you how to look at the meaning of what is happening instead. The example of a parent with young children is used. In the first year of life, there will be many sleepless nights as infants need to be comforted or fed. Young parents change hundreds of diapers, clean up thousands of messes, and almost all of them say they’d never change a thing. Why? Because the purpose of parenting provides them with happiness. In this module, you are encouraged to begin searching for your purpose. The experience is one that can only be described as being incredible. I have a good friend who wanted to write books since he was very young. He got his first professional writing job at the age of 13. Just after the age of 16, he earned a full-time job as a beat reporter for his local newspaper. He went to college for writing. Then he dropped out because he felt like the courses were not challenging him to grow. My friend decided to pursue his dream of becoming a novelist instead. He wrote a couple of books that sold a few copies. Then he got married, had kids, and discovered that his skill of writing could be used to help others build ideas, blogs, or companies. Now he works full-time at home, is always there for his kids, and has a life that many would envy. This module teaches people what my friend learned the hard way. It is more important to have a mission that fuels your life instead of a career. Many people define happiness as an ability to do something specific. For my friend, he once defined happiness as the ability to be a novelist as a career. Now he defines happiness through the time he spends with his family, not what he does to pay the bills. There are paths out there that are less traveled. You must choose to do what is right for your needs. Through Lahkiani’s own personal story, this module teaches you the mechanics of what is behind a leap of faith. It shows you how to evaluate the risks and the potential rewards that may follow. Each step you take is always a step forward. Your goal is to choose the direction in which you travel, because we all have a destination to reach. The Becoming Limitless program helps you identify the paths which lead to happiness. The observations in this module are forthright, almost blunt, but excellent if you’re looking for a way to get out of a rut in life. 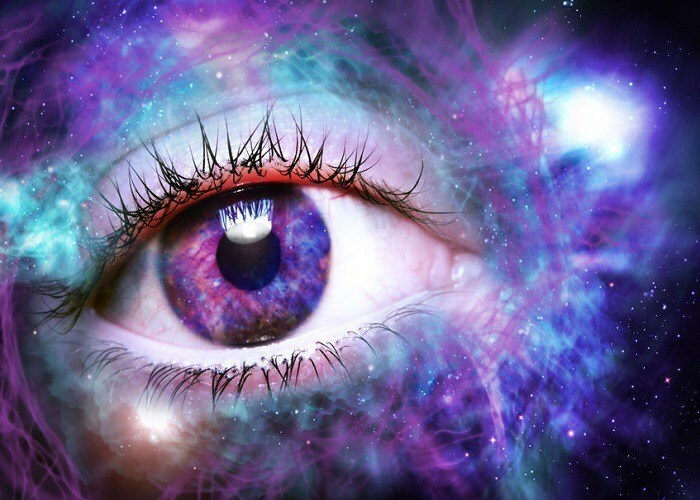 There are two types of intuition that people recognize in today’s world. The first is an artificial intuition. Imagine reading an article about apple pie. You saw a lot of pictures of this tasty pie in the content. Then you saw an advertisement for apple pie on television. Now you’re going grocery shopping a week later. As you stroll past the bakery section, you have a sudden craving to purchase an apple pie. That craving came about because you were exposed to information that said it would be good. You can apply this artificial intuition to any subject or industry. Maybe you read financial magazines, then purchase stocks they discuss. Or maybe you decide to play the lottery because you see other people doing it and you wish to fit in with your local community. Then there are moments of authentic intuition. 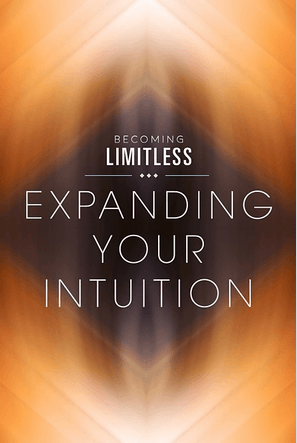 This module from Becoming Limitless, which occurs during a group discussion, looks at how people create moments of genuine intuition for themselves. When you are able to trust your intuition, it becomes possible to manifest whatever dreams you may have. You can follow your mission in life. Now I will say that this module still leaves me feeling hesitant. Intuition is absolutely possible. I also believe that there are decisions that we make based on logic and circumstance. If you’re allergic to peanuts and your intuition tells you to eat peanut butter, your logical mind must override such an idea. What I do find to be beneficial about this module on intuition is that you’re encouraged to never give up. Just because your intuition failed doesn’t mean you are a failure. It means that you have an opportunity to learn from the experience. There are hits and misses with intuition. There are hits and misses in life. The most important lesson taught here is that intuition is a skill, and anyone can work to improve their approach to it. This is the module that will either drive the concepts and ideas home for you or push you away from the program. 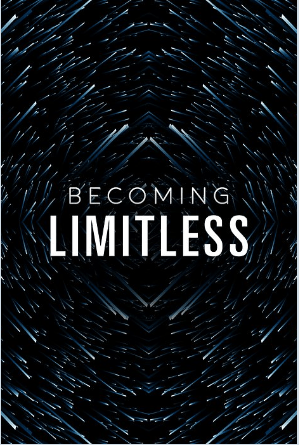 Becoming Limitless challenges concepts of spirituality here. The goal is to push people away from a mentality of victimization. Let’s talk about what it means to have a bad day for a moment. Bad days feel like they are a negative spiral that is outside of your control. Sometimes, you might even wake up and have a “feeling” like it is going to be a bad day. Then everything seems to go from bad to worse. Your boss yells at you about a project. There’s an accident that delays you from picking up the kids at practice. Dinner burns in the oven because of an electric short. Then you smash your foot into the vacuum cleaner to create the “perfect” ending to the day. Here’s the thing: when you woke up and decided that it was going to be a bad day, you created a self-fulfilling prophecy. Even during times that fall outside of your control, like a traffic accident, the need to fulfill a negative prophecy creates a change in personal perspectives. You look for darkness instead of light. 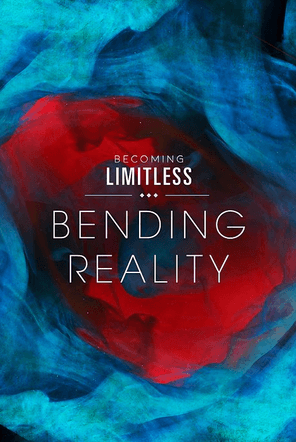 This module teaches you how to “bend” reality back toward a favorable outcome. It’s like the concept of visualizing strength instead of working out with a weight training regimen. You can visualize strength-building techniques and your body will be stronger. Then apply that concept to each day. If you visualize a positive, happy day, then you will create it. This module takes people through the various states of human existence. It discusses how to pursue what is perceived to be impossible. Users are encouraged to examine beliefs, relationships, and the subconscious mind to separate the healthy from the unhealthy. That is where the discomfort occurs. For those who grew up in religious or spiritual households, the foundation of belief isn’t love or forgiveness. It is fear. It gets that name because it is series of verses from the Biblical book of Romans. That pathway is a journey that is intended to recognize a fear that someone may not have had in the first place. Then the purpose of following the religion is to avoid what happens because of sin, like a death insurance policy. That is belief through fear. If that spirituality governs life, then the decisions of life are also based on fear. This module gives people the opportunity to look through the lens of a different perspective. 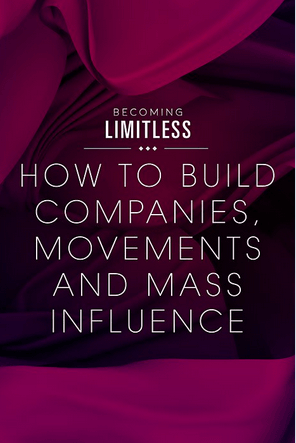 This is my favorite module in Becoming Limitless. Mindvalley uses this module to teach you how to commit to your vision. It introduces concepts that make it possible to fast-track the progress you want to make toward your goals. At the same time, it discusses how to find balance, avoid mistakes, and take your ego out of the equation. You do this by finding the connectedness in the world. Within the module, religious examples are used once again. When you reach Level 3, you begin to see how each religion leads someone to the same state or path. By eliminating the fear, you progress toward an end state that involves happiness, forgiveness, and love. Until someone reaches this third level, the boundaries of religion feel like they are designed to provide restrictions or separation. It’s not just religion that is a boundary. Cultural identities, national identities, and even political identities are used as justification to drive people apart. When you begin to merge, you see that these are man-made constructs. To the universe, we are all human. We are all part of a universe where we have yet to explore anywhere beyond our immediate solar system. We are just a pale blue dot. Anyone can care about the world. Anyone can push toward equal rights, work to eliminate hunger, or eradicate poverty. Some do these things because they feel like it is service to a higher power. People can be good-hearted and choose happiness without reaching this level of consciousness. I found this module to be intriguing on a personal level. Many times, I find myself following a task instead of a mission. Success or failure is determined based on how well the task is accomplished. This module helped me to see that the pursuit of a mission does not provide a definitive success or a definitive failure. The only failure that happens is if I decide to quit. I believe that you will find this module to be inspiring. If you’re like me, you may need to let the ideas sink in for a day or two because they can be quite challenging. Even if you work by yourself, a business succeeds or fails based on the culture that is established. Selling an incredible product or service happens when the people selling have bought into the problems that can be solved. To rally people, attract the right talent, and establish a company with a powerful vision, this final module takes you through the steps required to build a positive corporate culture. A great way to think about this is to decide what your perfect scenario happens to be. If your business could do anything to make the world a better place, if resources and talent are limitless, then what would you do? The answer to that question must become the vision you have for your business. Then the mission you establish must take forward steps toward that vision. If that means you build a new model, then make that happen. The most important element in a business adventure is a desire to grow. Without growth, there is no progress. You are taking a path which leads to comfort instead. Achieving your full potential is not comfortable. With Becoming Limitless, you don’t learn that it is necessary to step outside of the box. You learn that the box was never there in the first place. In the Becoming Limitless personal development training by Mindvalley, there is no right or wrong. There are only ideas. You are in control of whether or not to embrace those ideas or reject them for what you feel is a better path to walk. I found the materials to be engaging and interesting. Although I don’t always agree with every observation or idea offered, I have found that the perspectives offered through these 8 modules have been enlightening. Becoming Limitless allowed me the opportunity to look at my life to find places where change could happen. Then it encouraged me to have the bravery to embrace those changes. This personal development coaching program only works if you’re willing to keep an open mind. The concepts must be personally applied for them to be effective. If you’re looking for greater happiness and a life which feels meaningful and fulfilling, then I believe this program will help you. I know for certain that it helped me. 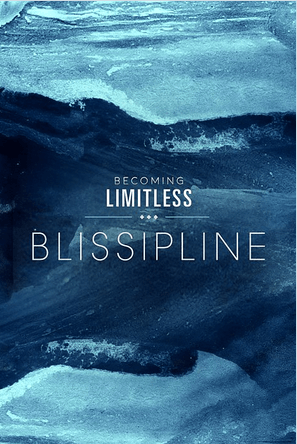 If you want to learn more about the Becoming Limitless online course, click here or here.